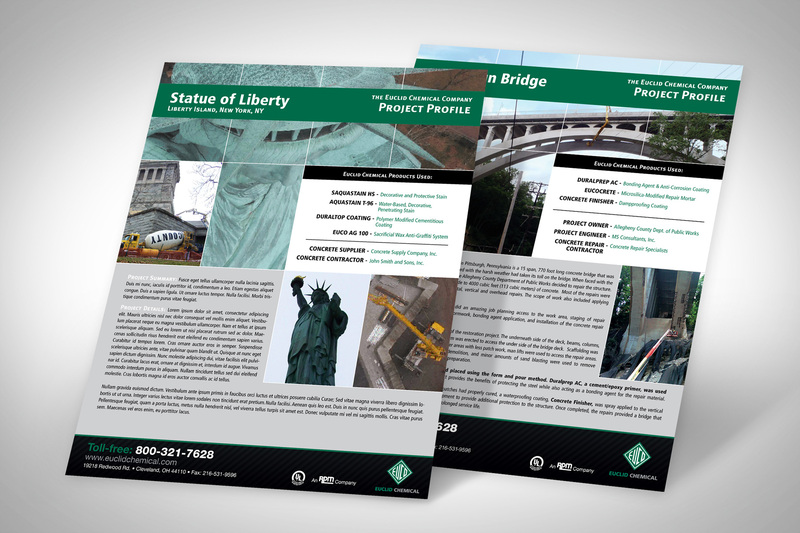 Euclid Chemical products are used nationwide and around the world for concrete projects of all types and sizes. Some of these projects are high-profile due to their visibility or complexity and warrant a bit more attention. We developed a project profile, consistent with the Euclid Chemical branding, that includes project photographs, product details and a narrative highlighting the key participants in the project. These pieces are distributed through sales representatives and also used as interest-grabbing public relations tools.